Like most burger lovers, I eagerly awaited the arrival of George Motz’s burger guide “Hamburger America” earlier this spring. When my copy arrived from amazon I did what many others probably did, I looked for the places I have visited to see how they held up to George’s lofty standards. Of the burgers I was happy to cross off the list, I was most surprised to see his choice of Charlie’s Hamburgers in Folsom, PA. Not because it isn’t good (it is GREAT! 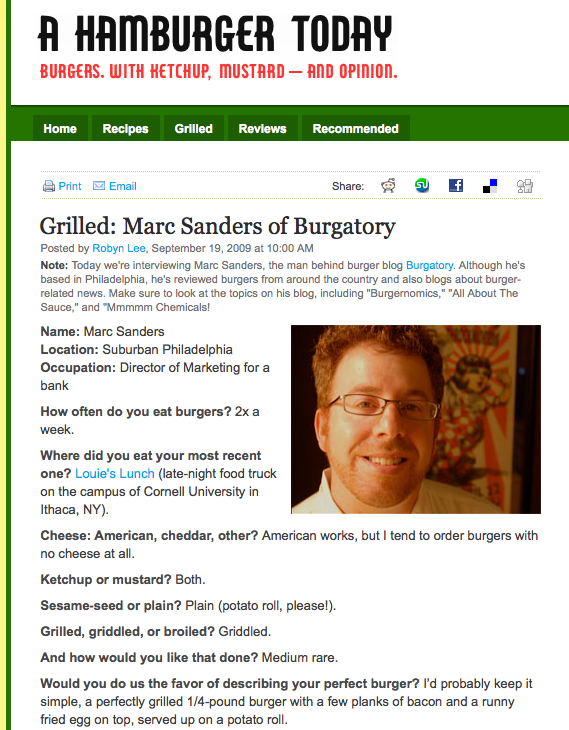 ), but rather because it seems to get very little love from the burger community. His inclusion will no doubt bring that to an end, and the folks at Charlie’s deserve the attention and the extra business (just not on Tuesdays!!). I am sure there were some tough decisions made when putting the book together and a few entries don’t include pictures (either of the restaurant or the burgers). Truth be told, Charlie’s isn’t much to look at from the outside, but your mother told you not to judge a book by its cover. 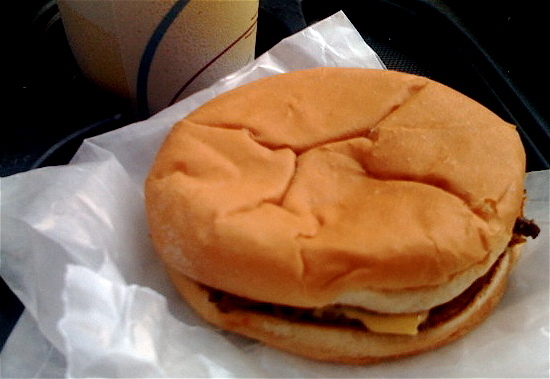 I’ve included the above “missing” picture for the curious to show what the cheeseburgers look like. Ok, apologies for the bigfoot-esque photo courtesy of the iPhone (btw, how could they not improve upon the 2MP digital camera in the new 3G iPhone…makes me feel better about the price drop and the “faster” downloading). As you can see, it is just a simple burger wrapped in wax paper, cooked with care and packed with flavor. Thanks to George for writing such an amazing book (and blog). Our family vacations are now set for the next 20 years! And thanks to Charlie’s and the other 99 burger joints included in the book, your pride in producing the finest burgers has made a lot of people very happy.